Every Destiny 2 player has had it happen. They’ve found themselves faced with a big Raid encounter, but due to the persistence of ammo and super energy levels after death, they are without ammunition for the powerful weapon they planned on using to damage the boss. Destiny 2 ammo synths may not be completely accurate, but with Forsaken, Bungie’s solved the problem of beginning a Raid encounter feeling completely naked. When Destiny 2 first released, Bungie had changed the ammo economy from the original game quite a bit (in fact, the entire weapon slot system was changed). In the first game, players could use ammo synths to refill their ammo on various weapons. This feature was primarily used on Heavy weapons before massive boss fights due to the rarity of purple ammo bricks. Destiny 2 ammo synths have long been requested, but Bungie never relented, instead using powerful enemies to drop “guaranteed” purple ammo for those powerful guns. Destiny 2 update 2.0 changed the entire weapon system again, and with it, the ammo economy. Heavy ammo was no longer a guaranteed drop from certain enemies, instead reverting to its more rare and random nature from Destiny 1. Cries for Destiny 2 ammo synths returned, and as players have been playing through Forsaken, they’ve discovered an interesting endgame consumable that just may solve their ammo woes. Once you reach the Dreaming City, locating the destination vendor Petra Venj provides some items for purchase. One of those items is a consumable called a Raid Banner that “can be used before any Raid encounter to allow fireteam members to gain Super energy and Heavy ammo.” The consumables cost either 5000 Glimmer or three legendary shards. The consumable works in the same way that the rally banners ahead of Public Events do. By activating these banners, players fill their Super energy and Heavy ammo in preparation to face the Public Event. While it’s not exactly Destiny 2 ammo synths, it solves a major frustration that players face when going into major encounters. 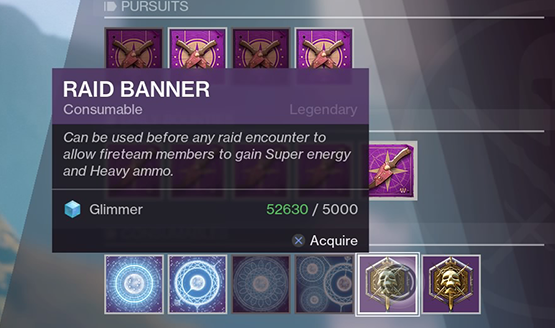 Instead of repeatedly doing “ammo runs” to be at peak performance levels, teams can now just use the Raid Banner. 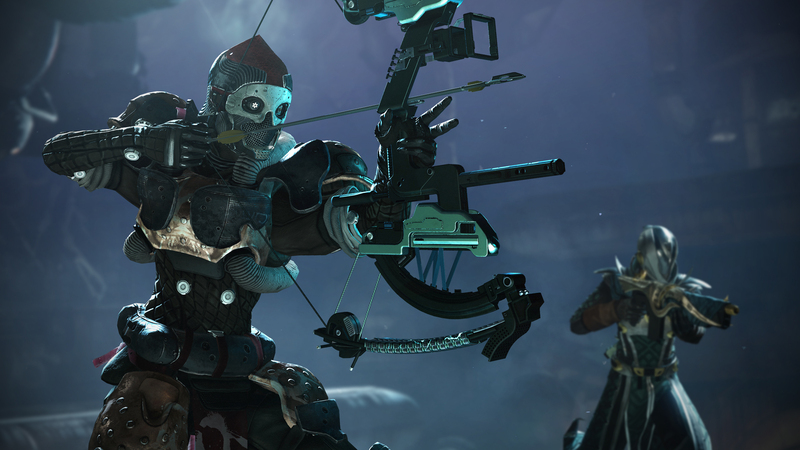 Have you been enjoying Destiny 2: Forsaken? What secrets have you discovered? If you are playing it, don’t forget that you can get the Destiny 2 Forsaken soundtrack free just for completing the campaign, as well as additional bonuses through Bungie Rewards.